Ramen’s popularity in Singapore has exploded in just a few years, I estimate there are over 105 ramen shops on this tiny island, and some of popular brands, you’ll always see a beeline forming outside the shop. 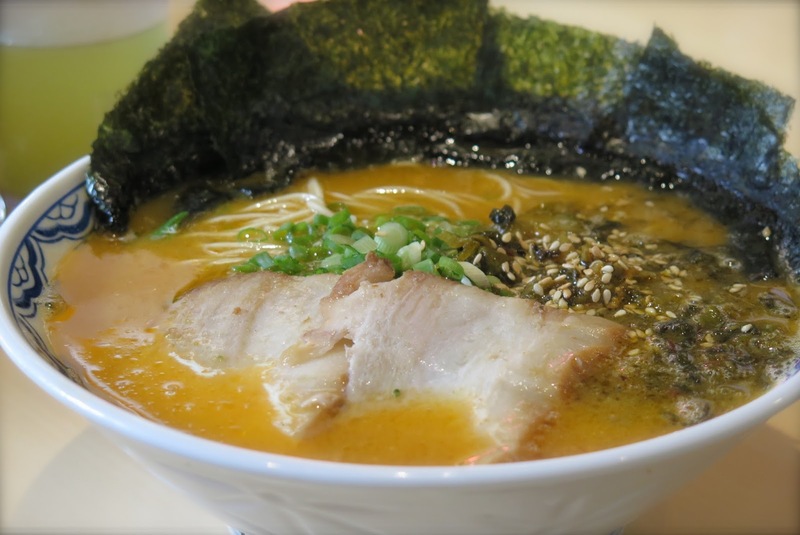 If you dive deep into the wonderful world of ramen, you will discover a large array of ramen styles and specialities abound with soup, noodles and toppings, all varied according to local tastes. YOSHIMARU ramen bar, originating from Hakata, Kyushu is one of the pioneers responsible for the evolution and addition of depth and character to Hakata style ramen since 1994. 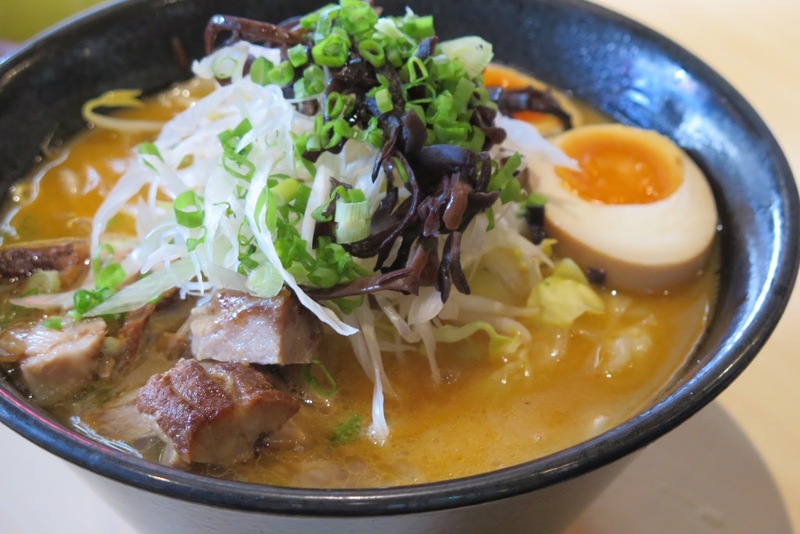 Proudly served with ultra-thin yet springy and firm noodles that is the hallmark of high-quality hakata ramen, YOSHIMARU complements the noodles with a bowl of rich, flavourful and mouthwatering tonkotsu broth that’s extracted from pork bones for hours. Apart from the signature and traditional Hakata Ramen, you can find over 10 different types of ramen styles at YOSHIMARU such as the spicy miso based – Karamiso Tonkotsu Ramen, featuring thick chunks of charsiew, onsen tamago, black fungus and vegetables. 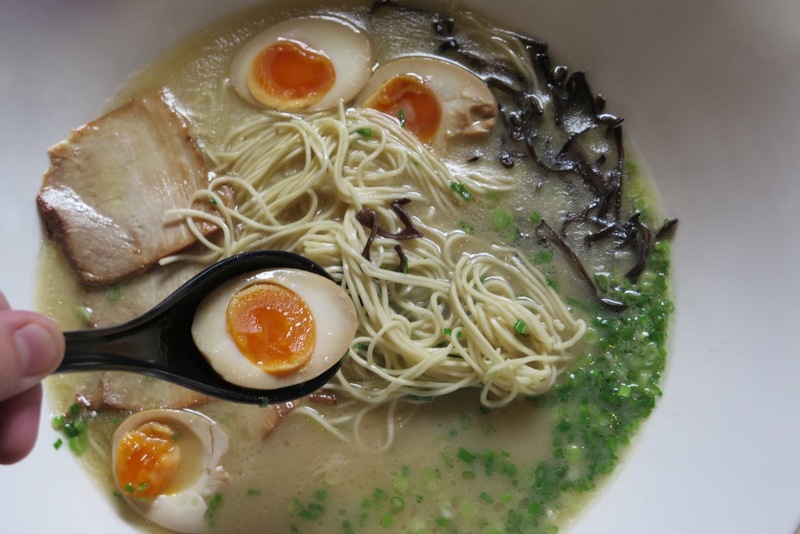 Flavoured with spices and yuzu zest, this Karaka Men is a slightly tangy take on the usual tonkotsu or miso ramen. 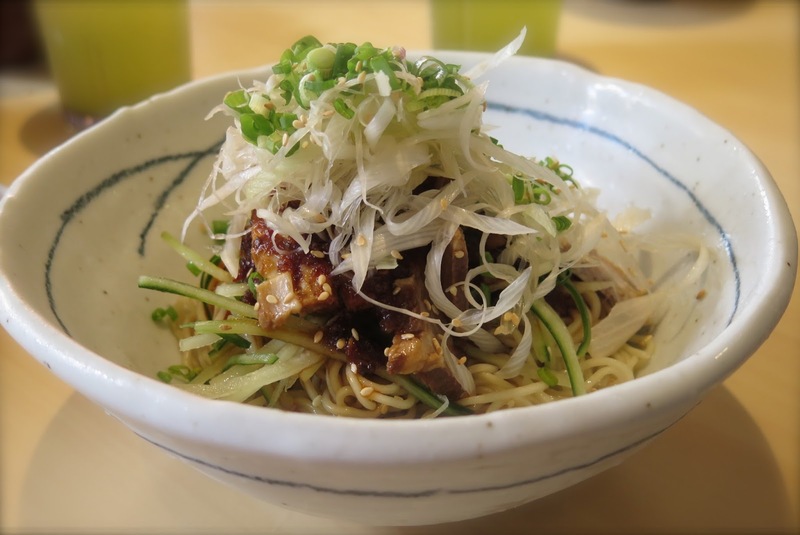 Accompanied with sheets of seaweed and thinly sliced charsiew, this spicy yuzu ramen has gained praise as one of the most popular ramen at YOSHIMARU. Sweet, cold and spicy with cucumber and chunks of charsiew will turn out very well, if you fancy something cold yet comforting. YOSHIMARU‘s own spin on this cold ramen is influenced by its spicy miso ramen, especially for those who like it spicy but can’t stomach steamy hot bowl of broth during the day, this cold dish is definitely worth a try. It would be uncommon if we do not have any side dish, in addition to our bowl of ramen. 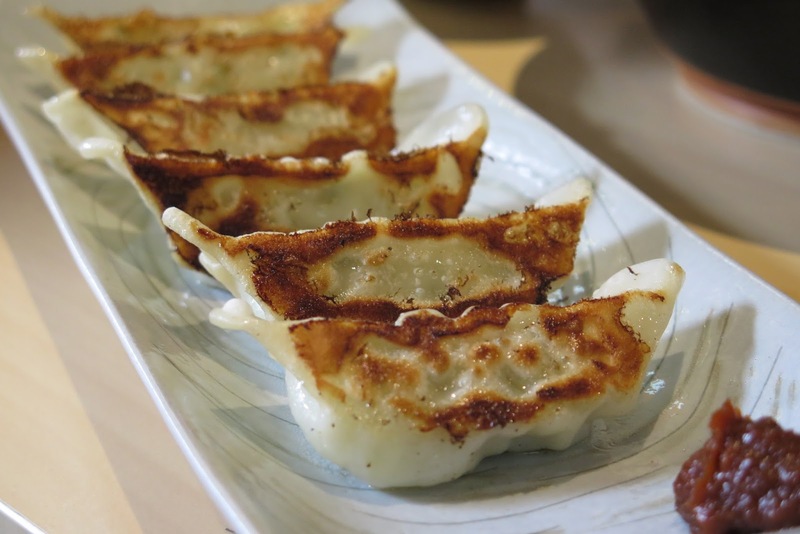 Recommended accompaniments include the Tori no Karaage (Fried Chicken $6.00), Agedashi Tofu (Deep Fried Tofu $4.50), or the Yaki Gyoza which contain either chicken or prawn fillings. 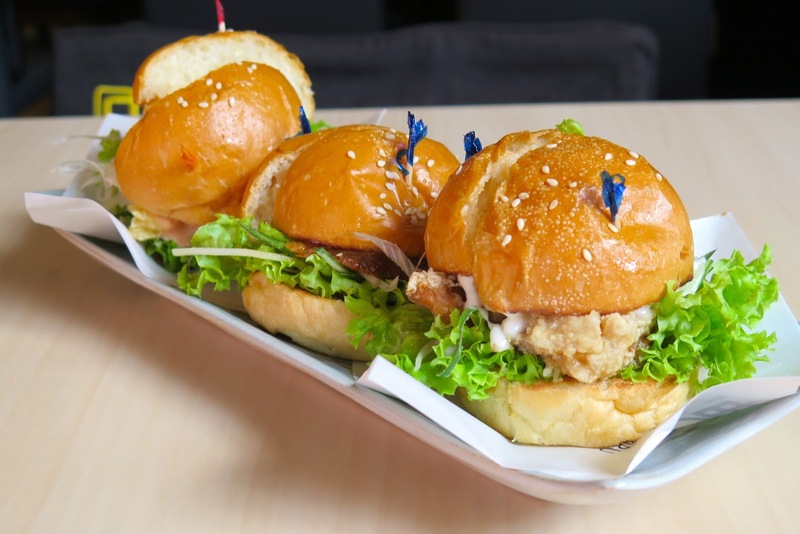 The only unorthodox dish found on the menu was the Hakata Mini Burgers, which comes in 3 choices – Chicken burger with mayonnaise & teriyaki sauce ($3.50); Mentaiko mayo prawn burger ($4.80); and Japanese spicy braised pork burger ($3.50). Or you can get all three in a combo which saves you a dollar. 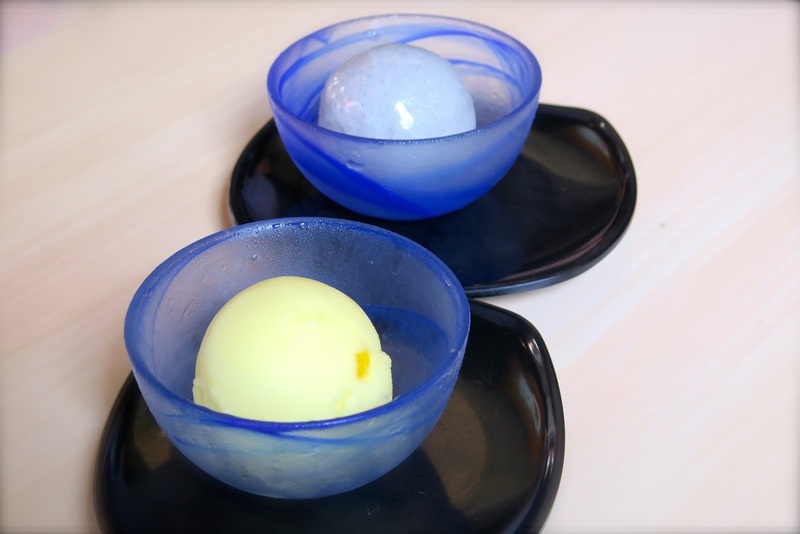 Similarly served at most Japanese ramen shops, desserts were ice-cream which comes in 3 flavours – Yuzu, Goma (Black Sesame) and Matcha (Green Tea). If you like to pit your stomach against the tickling clock and let victory serve you a free meal, YOSHIMARU‘s 3rd year Ramen Challenge is just right for you, as long as you are 18 years of age and meet the requirements. Polish off one super-sized bowl of YOSHIMARU traditional Hakata ramen – two servings of noodles, two eggs, four slices of charsiew and a portion of black fungus and spring onions in a broth, under 4 minutes and 30 second or fork out $25.80++ if you fail the challenge. 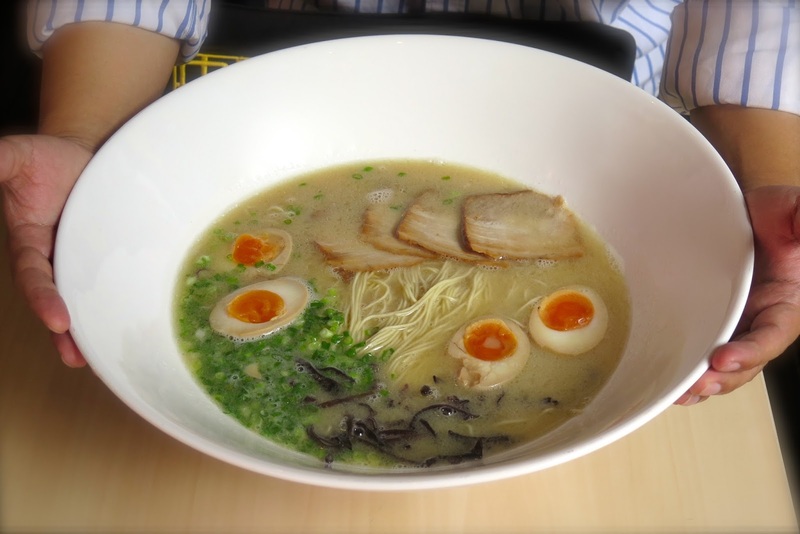 If you are still in doubt, read more on the FAQ page for the Ramen Challenge 2015.